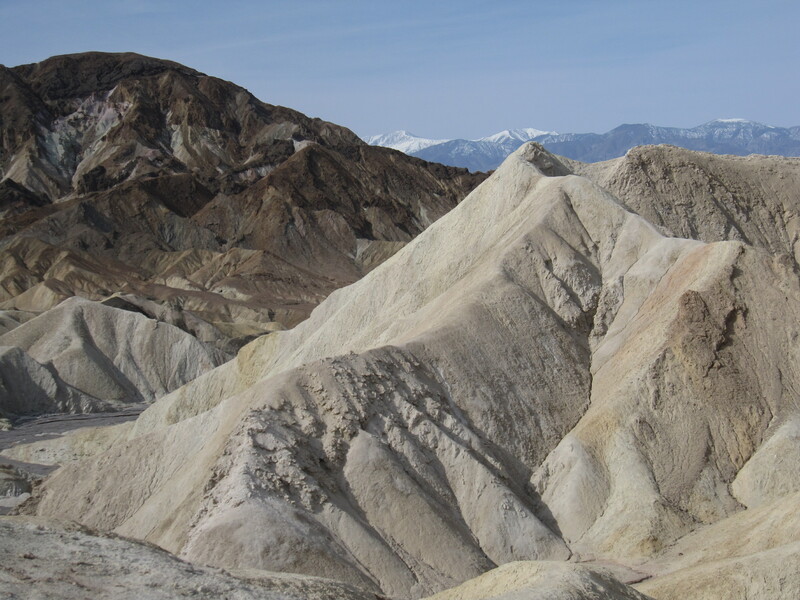 Last night I decided to take a day trip over to Death Valley for a little trail running and some sightseeing. 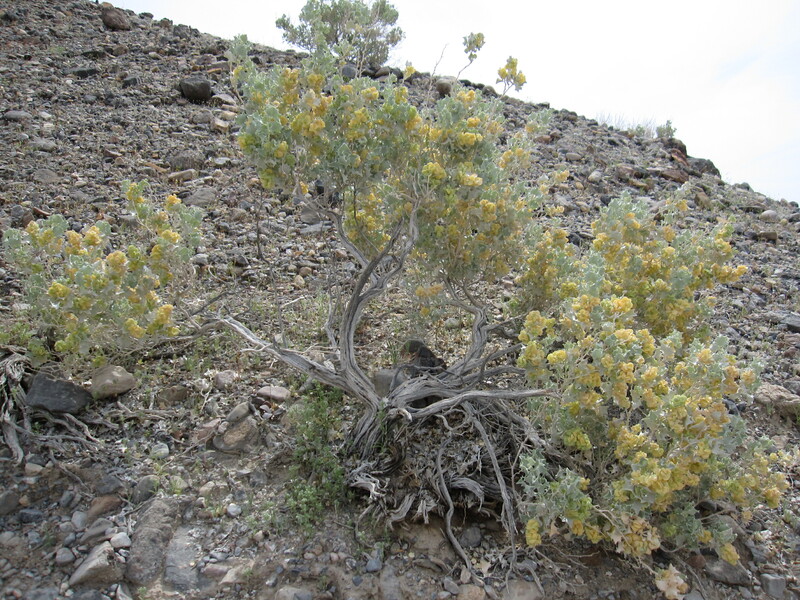 I’ve been through DEVA a few times and hiked Telescope Peak once, but not much besides that. I figured this would be a nice getaway without spending much money and better than sticking around home all day. 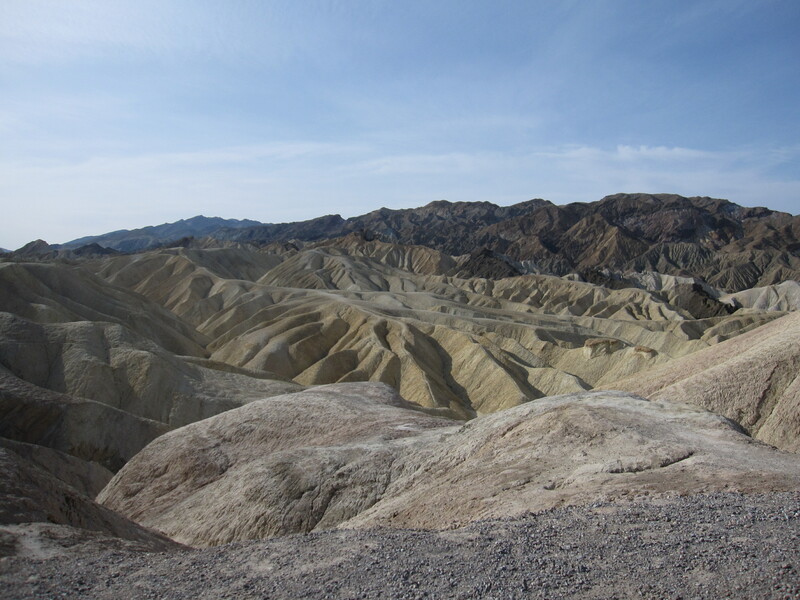 Upon entering the park I pulled into Zabriskie Point. I grabbed the camera and did a short 3 mile loop. 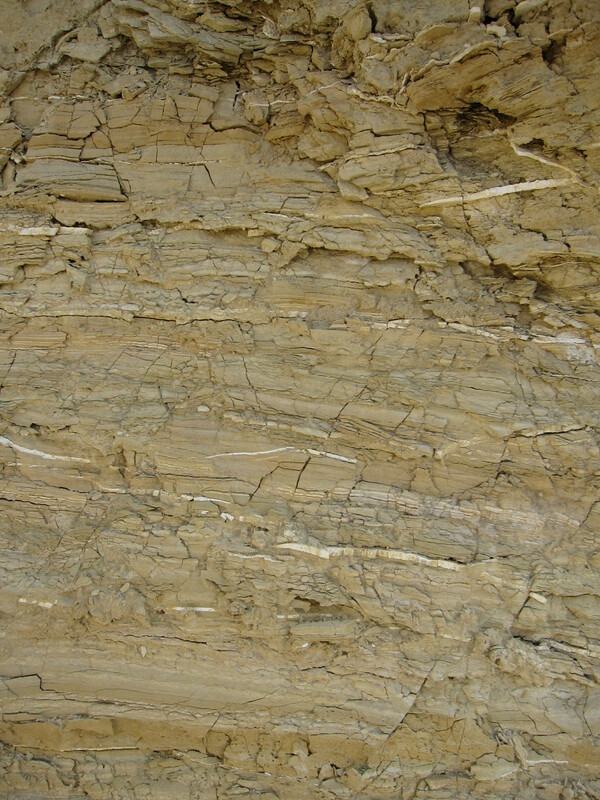 Salt deposits embedded in mudstone. After Zabriskie Point I went to the Furnace Creek Visitors Center and walked around a little bit before heading North to Titus Canyon. I was unsure of travelling the 3 mile gravel road leading up to the mouth of the canyon so I just ran it. 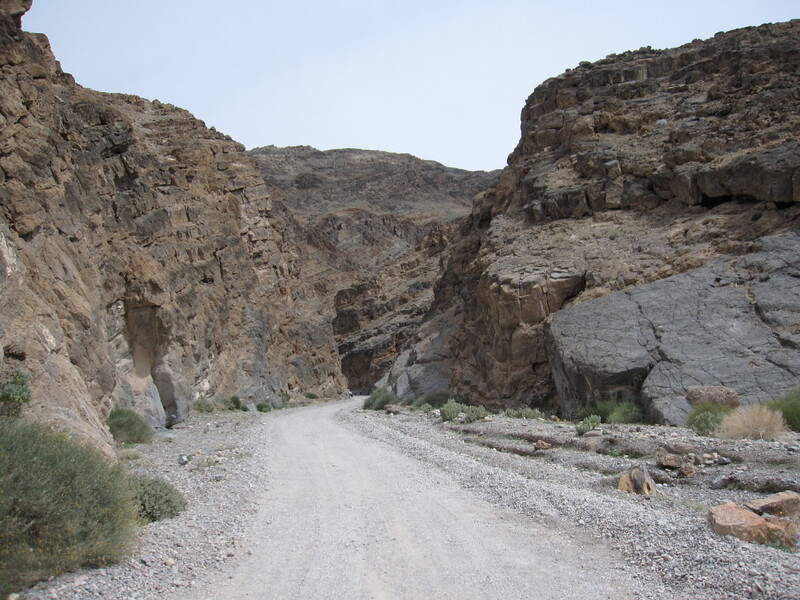 I decided against running up the slot canyon because it is a popular 4×4 road. There was a hiking path headed along the escarpment so I took that instead and found some pretty flowers and rock formations. I thought this plant growing right out of the crack was pretty cool too. After travelling a little over a mile my stomach started to growl so I ran the 4+ miles back to the car and headed up to Beatty. There is a pretty good Mexican joint in Beatty and I was craving their fajitas. Additionally, there is this wicked hot Romanian girl that was working there last summer so I was hoping she would be there as an extra treat. On the way out of DEVA I passed a bunch of bicyclists on both sides of the road. Apparently there was a 100 mile bike race, Hell’s Gate Hundred, going on today. There were a lot of…well relatively large for spandex cyclists riding the race. There were quite of few people on those low rider recliner bikes too. Just before getting to Beatty I saw one of those eliptical bikes with no other than Dean Karnazes riding it. I have to say I was actually embarrassed for Dean. I’m all for someone whoring a product to make money, but it was sad to see. Luckily the hot Romanian was working that day so the fajitas tasted all the better. After packing down enough shrimp, chicken, and steak for two I had an ice cream just so I could look at her a little longer. All in all, not a bad day.